Looking very pleased with herself as well she should. 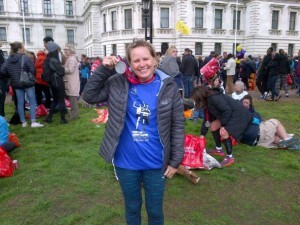 Vanessa says she did it in 5:02 and was delighted to have been part of such an awesome event. Awesome is the word!